The universe of African fashion films is diverse and under-investigated. Most of the times they are left out of discussions of African fashion in spite of an uptick in their production and the positive reception on the continent. Given fashion’s heavy reliance and emphasis on storytelling for branding and marketing purposes, this lack of attention is hard to explain. In my knowledge, the existing literature on fashion films as a genre and fashion in films has also not focused on it either. An exception is this programme on fashion films in Africa organized in Bilbao in 2016 within the exhibition “Making Africa: A Continent of Contemporary Design”. In light of the ongoing internationalization of the African market, the films image the encounter of local and global influences, adding depth to the designers’ goals of approaching an international audience with local stories, heritage, and techniques. Further, they are social media-friendly as they draw users into immersive worlds that invite feedback and discussion. It would be interesting to explore how they feed into the fashion-focused visual culture from the continent and their impact on the international scene. These are some fashion films by anglophone and francophone designers and creatives that I like. Selly Raby Kane collaborated with Belgian director Tom Escarmelle on “Inner Cruise” (2013), which is described as “a visual and dreamlike journey of two supernatural beings who criss-cross the city of Dakar in search of meaning”. 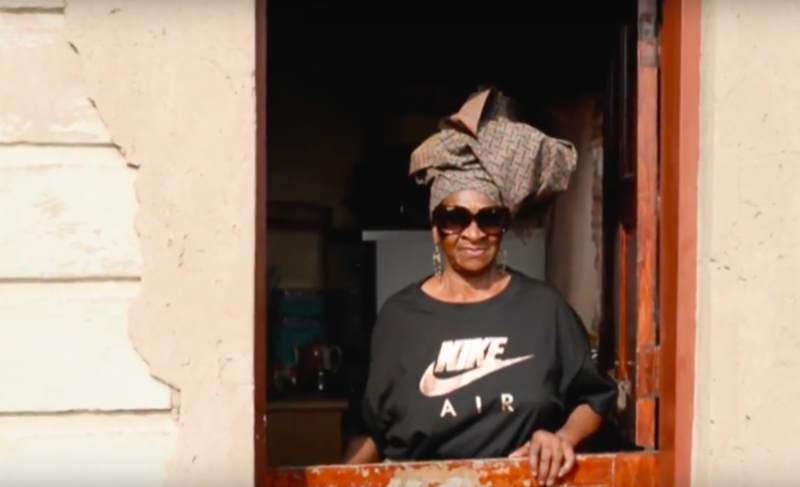 “Gug’ Othandayo” is Sizwe Mbiza‘s tribute to the spirit of the women of the South African musical Gug’ Othandayo which, in his words, “embody the same ethos of Nike AirMax”. Picha Morangi won Best Fashion Film at The Bokeh South African International Fashion Film Festival in 2018. The short film focuses on a fashionable man “who refuses to let hardship define him”. The aesthetic recalls less recent films and documentaries on the sapeurs, like “The Congo Dandies: living in poverty and spending a fortune to look like a million dollars” and Guinness’ “Sapeurs”, directed by Héctor Mediavilla. Prolific Nigerian stylist, photographer and director Daniel Obasi has recently partnered with Vlisco for “Udara”, a 9-minute “ode to the diverse layers of being Igbo through; symbolism, music, traditional beliefs, the mild conflict and inter dependence between Christianity and traditional religion within the Igbo communities”. Other notable films by Obasi focusing on Nigerian cultures include “An Alien in Town” (2018) – that looks at Lagos from an outsider’s perspective, and “Illegal” (2017) – a visual fantasy on gender fluidity. “Kilón Shélé Gán Gán” (2017, dir.Dàfe Oboro and Mowalola Ogunlesi) presents Mowalola Ogunlesi‘s collection ‘Psychedelic’. It is shot in Lagos and promotes the designer’s goal of contributing to Nigeria’s “evolving idea of masculinity”. “Mdingi Coutts”(2016, dir. Noir Tribe) is the second, multi-awarded episode of the ETHETICS (ethics+aesthetics) series on ethical brands around the world. It showcases wares from Lukyanho Mdingi & Nicholas Coutts Tactile Collection, using Africa’s natural landscape as a means to conceptualize the aesthetic of the collection. Finally the NEST Collective also shoots dreamy fashion films that have a focus on landscape and nature. My favorite is still “To Catch a Dream” (2015, dir. Jim Chuchu). I wrote about it when it came out; it features beautiful items from eight Kenyan designers within a science fiction of story on life and death.